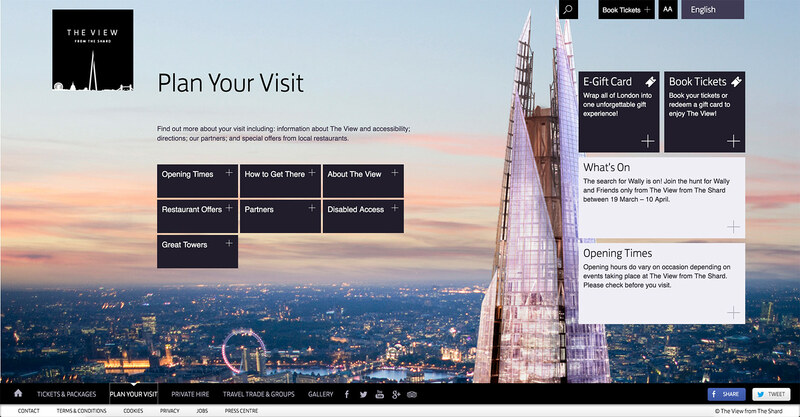 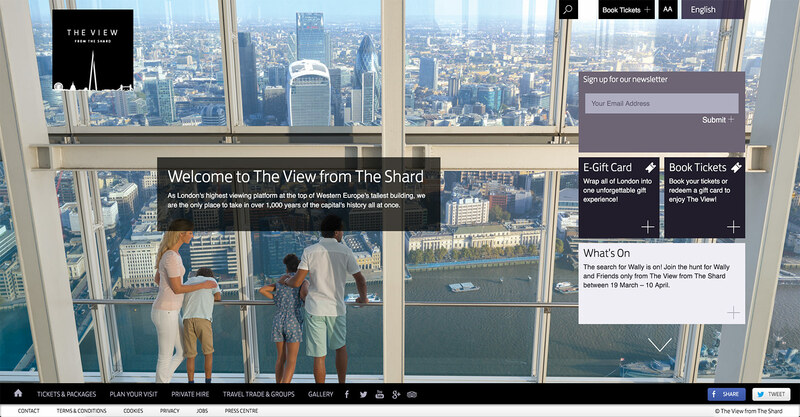 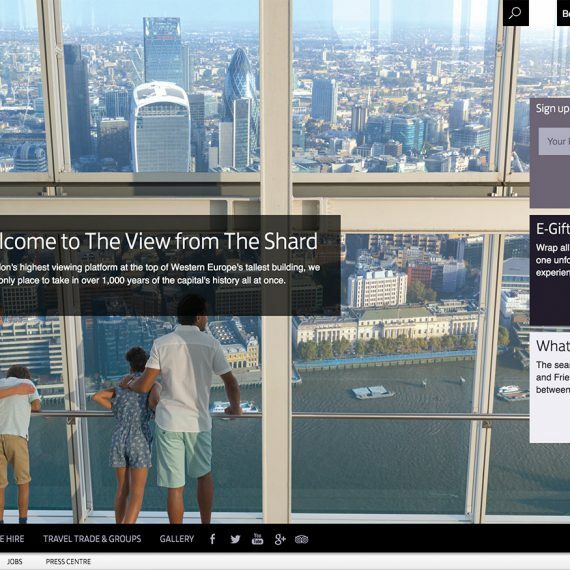 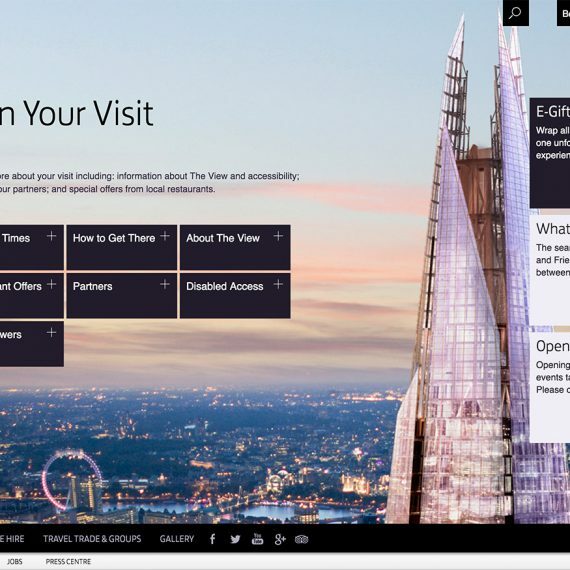 Whilst the new Shard building was being completed in Central London, we were given a brief to build a website that would assist in advertising and selling tickets for the viewing platform on the 68th, 69th and 72nd floors. 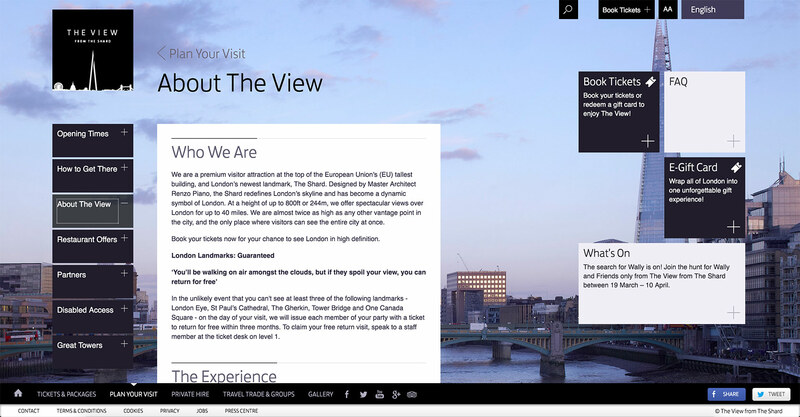 The one page website is powered by Concrete5 which allows the client to update the website simply themselves. 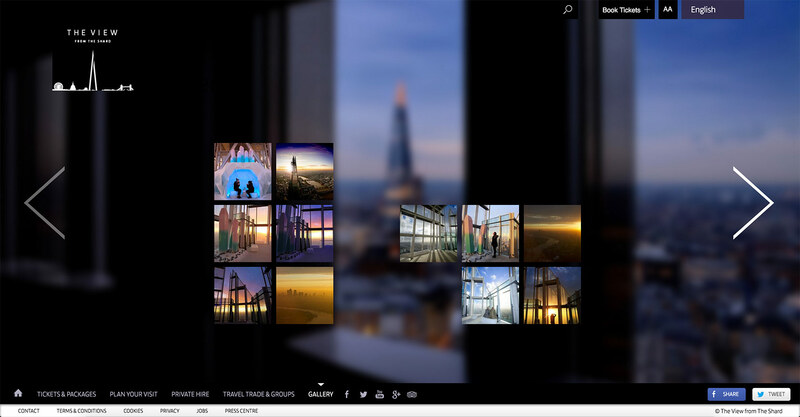 Concrete5 outputs JSON which assists with the front end. 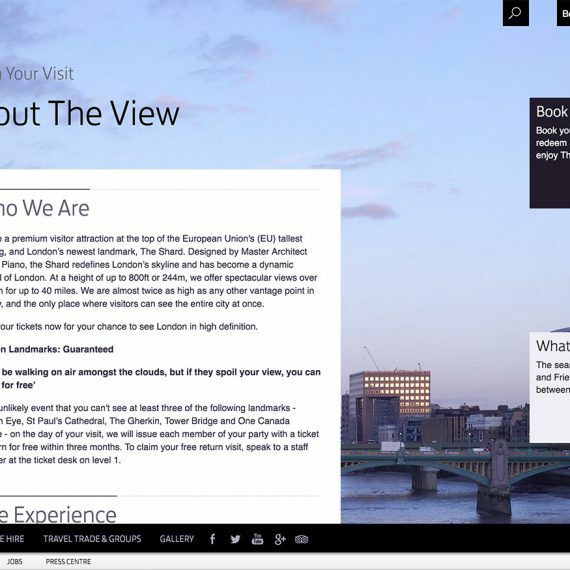 The front end of the website is built using Backbone, Marionette and Grunt, which at the time were brand new and not massively established. 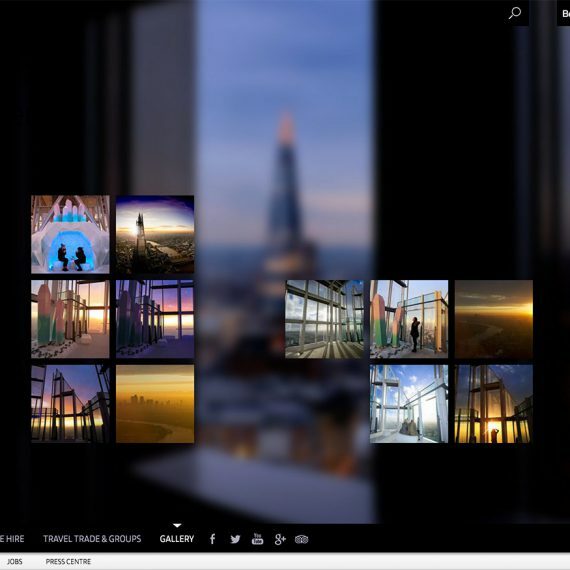 A challenging part of the build was moving from one section to the other as there were complex animation, which animated all the content out before loading in the new page data and then animating back in.